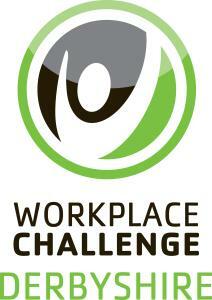 Organisations across Derbyshire are invited to take part in the 'Workplace Challenge'. There are around 300 workplaces and over 2000 users registered across Derbyshire, the challenge is open to any workplace no matter whether small or large, public or private. The aim of the programme is to promote sport, physical activity and health improvements across the UK's workplaces and is free to register. Once registered, users can log their activity whether it's walking, yoga, badminton or a gym session. Users rate the intensity of their activity, whether it is light, moderate or heavy and this works out how many points they have achieved. 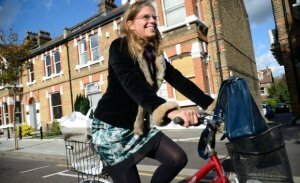 For example, 45 minutes of walking gets you about 120 points or 60 minutes of cycling gets about 600 points. The Workplace Challenge is being delivered by the County Sports Partnership Network meaning that workplaces across the country are taking part so you can also rank yourself and your workplace on a national as well as county level. Log your cycle in to work to get points on the leaderboard. Sign up to record your sport and physical activity online to receive points – anyone who is logging their activity is in with a chance of winning a prize throughout the year. Click on the documents below to download them and help to promote the Workplace Challenge in your workplace. In partnership with the British Heart Foundation, the Workplace Challenge has coordinated a series of training sessions focusing on how to improve the health and wellbeing of your organisation's workforce. Become a Workplace Challenge Champion to gain valuable resources and support to help improve the lives of your colleagues by promoting the benefits of a healthy and active workforce. Health at Work membership provides you with access to tools, ideas and advice you need for a successful workplace health scheme. The Workplace Challenge is delivered in partnership with British Heart Foundation (BHF). BHF are committed to the prevention of cardiovascular disease. Health at Work is their programme to inspire and support health and wellbeing in the workplace. Sickness absence costs UK businesses £14 billion a year, so a healthy workforce makes good business sense. Click here to visit the BHF Health at Work website to find out more. Read how people from across the county have used the Workplace Challenge to get more active or keep a log of their activities. Pictures from events relating to Workplace Challenge. Click on the name of the event to access the picture gallery and any other details.